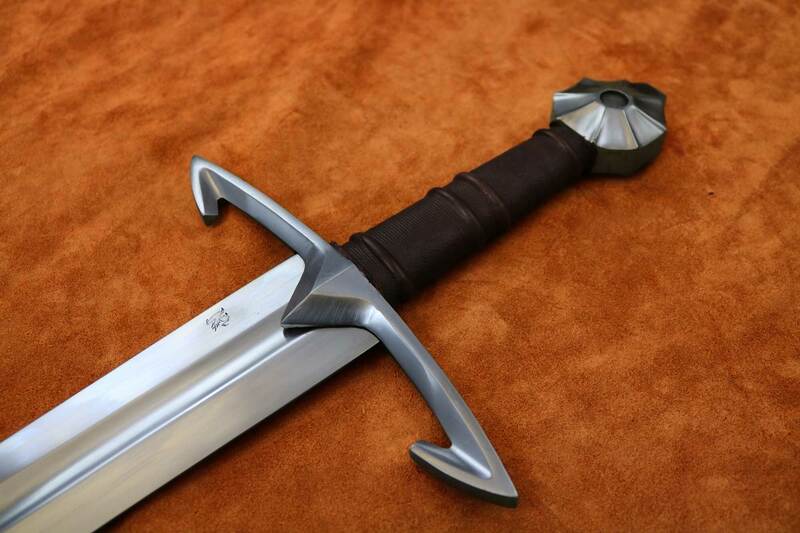 The Black Knight Medieval Sword is Inspired by E.A. Christensen’s sketch, found on p. 121 of Oakeshott’s “Record of the Medieval Sword”. 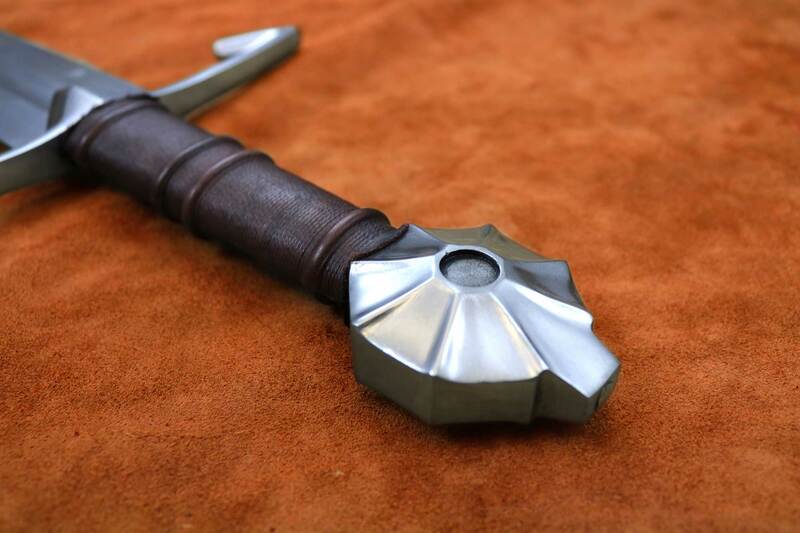 While preserving the historical essence of the blade and pommel, our rendition of this battle ready sword was given a fantasy flare with it’s morbid crossguard. 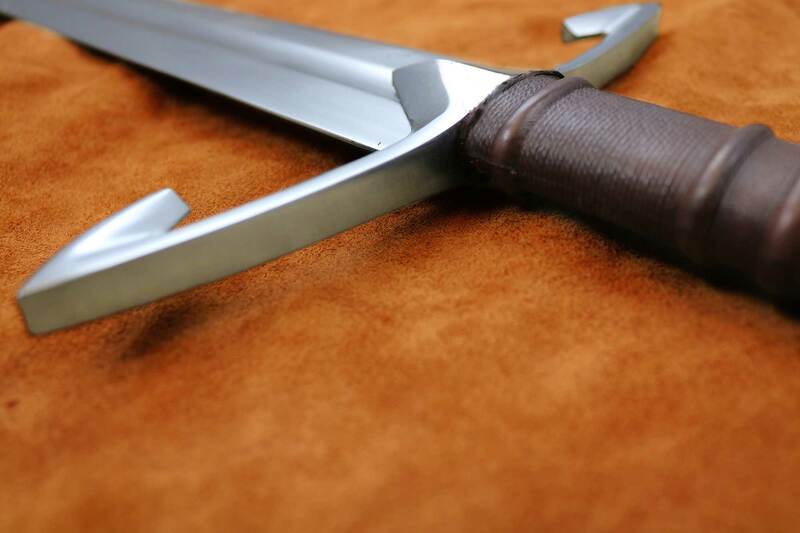 Inspiring an essence of strength and heroism, this medieval sword is resilient, responsive and well balanced. While fitted with the typically close quarter blades of the 14th and 15th C, the guard on this arming sword reflects an inspirational twist. 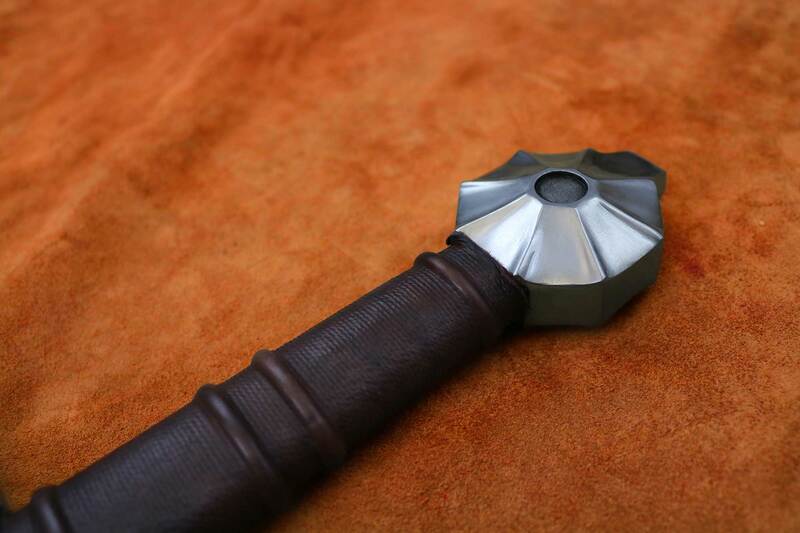 The richly decorated pommel crowns an equally embellished leather wrapped handle. The blade on the Black Knight Medieval Sword is responsive, very well balanced, tough yet flexible. 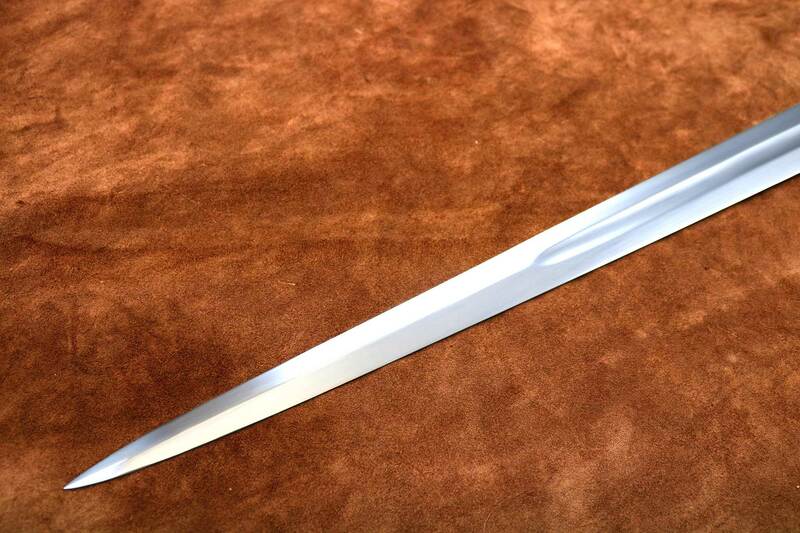 The sword’s light weight and balance make this medieval sword a potent thrusting weapon. The dual tempered blade is virtually indestructible, classically styled and a must even for the most discriminating collector! I just received my amazing sword! I’ve had a few wall hangers before, but this is my first true quality sword. I am amazed by the high quality of the craftsmanship of my new blade! The company was very friendly and communication was swift and considerate. They let me make payments that fit my budget so that I could pay my sword off quickly. 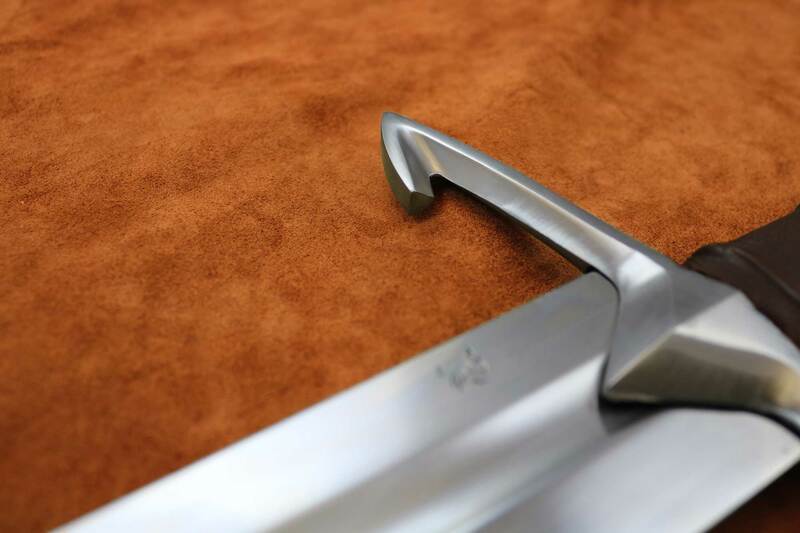 This sword is more than just a beautiful piece of art. It is a true weapon and I feel very fortunate to have it! Thanks dark sword!!! I will be coming back for another before long!